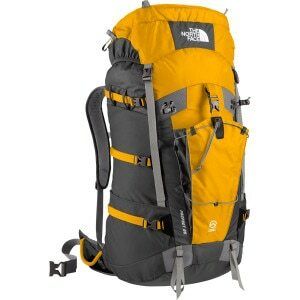 Your backpack is your closest companion on the trail, so it&apos;s necessary to make sure it fits comfortably. 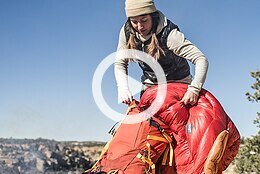 Learn how to adjust your pack&apos;s harness and other details so everything feels just right. 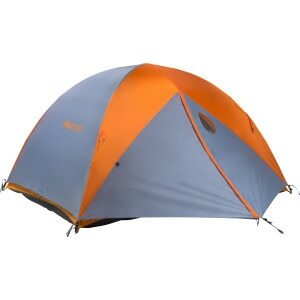 From ultralight tarps to four-season shelters, the vast array of tent options can feel overwhelming. 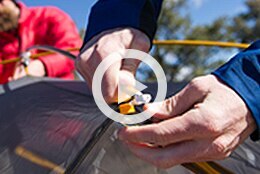 This video compares the different types of shelters so you can choose the right one confidently. Learn about the differences between down and synthetic insulation, the benefits of each, and how to make an informed decision about which insulation is best for you. 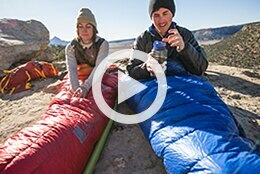 A reliable stove system is essential to your backpacking setup. After all, it&apos;s only befitting to eat a hot meal while you relax and soak up those well-earned million-dollar views. But with the dozens of stove models available today, it can be difficult to narrow down the options and choose the stove that is best suited to your needs. Dehydrated meals will never taste like fine dining (although after Day 3 on a grueling alpine loop, some of them can seem pretty close). 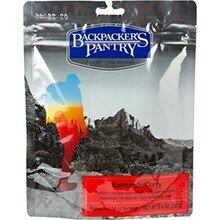 But backpacking food has come a long way, and much of it has earned five stars from foodies in the Backcountry.com community. Here are the top-rated meals, as chosen by the discerning palates of backpackers like you. 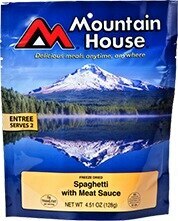 "Probably one of the better tasting meals that Mountain House offers and maybe one of the most popular. I&apos;ve consumed several different types of entrees from MH and this ranks right up there. 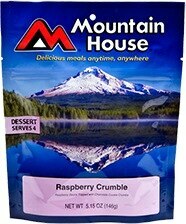 Great texture and flavor for a freeze dried meal." "Of all the Mountain House meals I&apos;ve had the privilege (or punishment) of eating, this is my favorite. 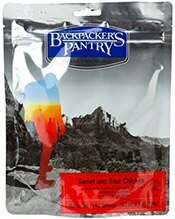 It&apos;s tasty enough that you might actually forget you&apos;re eating freeze dried food." 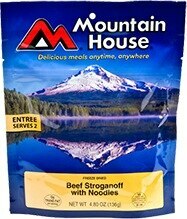 "I tried lots of freeze dried food over the years and Mountain House beef stroganoff is one of my favorites." 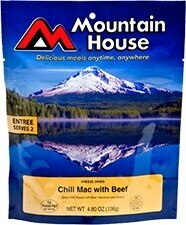 "We&apos;re talking about freeze dried food here so I&apos;m not going to be using adjectives like "fantastic" or "awesome" but I can say with confidence that this is the best freeze dried food I&apos;ve ever had and the Chili Mac is one of Mountain House’s best." 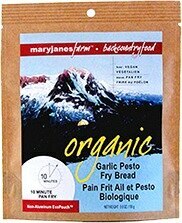 "Delicious for a freeze-dried entree! 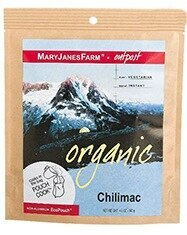 I&apos;m a foodie, which makes this a very guilty pleasure for me, but I absolutely love the chili mac." 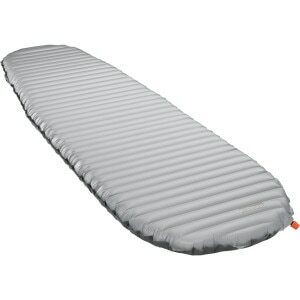 "I bought one to try out. Man, talk about a pleasant surprise! The taste is just like a frozen one." "I&apos;ve enjoyed this stuff ever since I was a little kid, and I continue to enjoy it today. 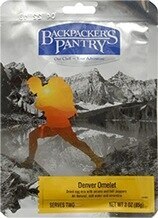 The sweetness goes so well after a long day on the trail and a hot meal." "This tasted just like ice cream, and had a really nice texture once it melted in my mouth." "Wow this stuff is good. I found myself SCARFING it down and wanting more. 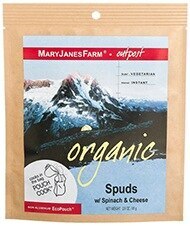 I like Mary Jane’s Farm and all, but it was really good, not just for Dehydrafood, but good... period." "I haven&apos;t had &apos;em all, but I&apos;ve had quite a few. 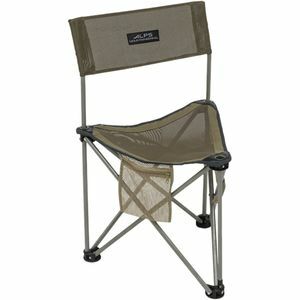 MJ&apos;s Chilimac is by far the best, making this one destined to be a part of every backcountry expedition." "It&apos;s a bit pricey, but it is good." "If you love pasta with meat sauce then you&apos;ll love this meal. 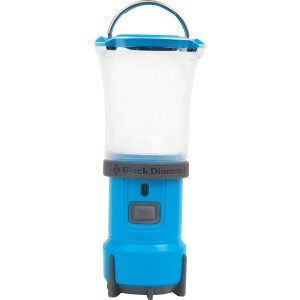 It cooks in its own re-sealable pouch which means no mess after the meal and the taste is every bit as good as the lasagna meal..."
"...makes an awesome recovery meal as well as a good power breakfast in the morning for a 35 mile push. 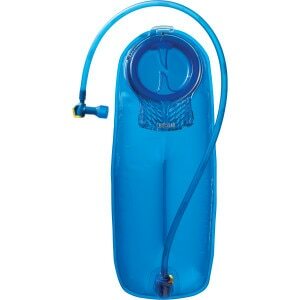 Taste is very real, you don&apos;t even think dehydrated." "These were so easy to make, and the taste was stellar. I loved that the batter just squeezed straight from the package so there was minimal clean up." "Very very good food. Just watch it. Make sure you have a pan with decent heat dispersal. 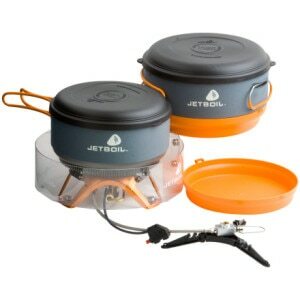 I tried cooking some in my MSR pot (thin walled stainless pot) over my Jetboil. And it just burned in the middle. The bread is awesome when properly made :)"
"So far, I&apos;ve only tested these in my kitchen (using trail prep methods), but they were deeeelicious and super easy to make. I would happily make these with dinner on a normal night and should be downright luxurious with some soup on the trail." "What a great end of the day treat. A fellow backpacker asked for a taste. I mistakenly complied. After everyone tried it, I only got about 1/4 of it back. 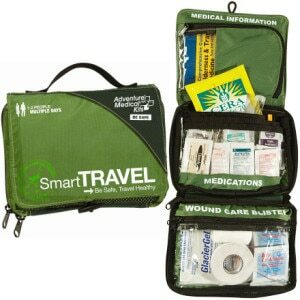 Pack extra or hide your pleasure." 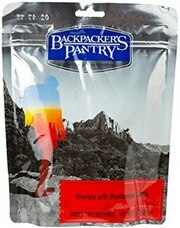 "This is one of my favorite desserts to bring backpacking, and is worth its 5.2 oz weight." "...I like to have a little dessert with my afternoon coffee. 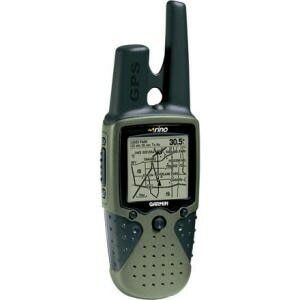 This fits the bill for that nicely, and there is plenty here to share." "Absolutely delicious—as good as mashed potatoes from a top notch restaurant or grandma’s kitchen. I was scraping the sides of the package to get every last bite." " These were pretty tasty though. There was only the slightest hint of that faux-potato taste, and the flavor from the spinach and cheese covered it up pretty well. I&apos;ll definitely eat these again." "This is a great meal. I&apos;m a meat and potatoes kind of guy, so I was a little skeptical at first. But even without meat, this is a great meal. This is now one of my favorites"
"Needs pan – best quick eggs I have tried. This is the best breakfast meal I have come across yet. Get it try it you won’t regret it." 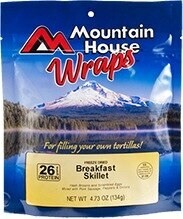 "These Mountain House Wraps make an awesome breakfast burrito with great flavor." "I need to clarify that I eat this for any meal not just for breakfast. 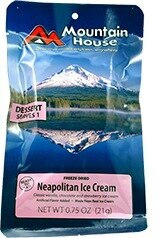 This is my favorite MHS freeze dried meal. Great combo of flavors, VERY filling, and like everything else they make, very easy to prepare." "Do yourself a favor and bring along a mini bottle of hot sauce, it makes it SO much better. I also add about a fourth-cup less water than the package calls for. Good breakfast to wrap in tortillas or eat straight from the bag. Very filling." "This is better sweet and sour chicken than I&apos;ve had in many Chinese restaurants. No cloying sweetness, instead, there are peppery bites, a good amount of chicken and the rice was cooked better than a rice cooker could do it. That was an engineering marvel in itself in my opinion." 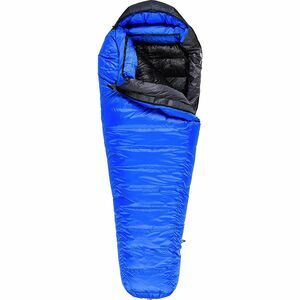 "...I was pleasantly surprised by just how good it was. The sweet & sour sauce rivals with any that I&apos;ve had at Chinese takeout joints. There&apos;s a lot of chicken. And, it comes with a pack of organic olive oil, which I thought was a nice touch. Definitely can&apos;t go wrong with this one!" "I would eat this breakfast regularly in my house frankly. The granola was quality oats in right-sized clumps. Loved the almond and vanilla flavors that were forefront in every bite. Milk mixed up nicely without residual clumps....My husband and I shared the bag and both were filled and satisfied."